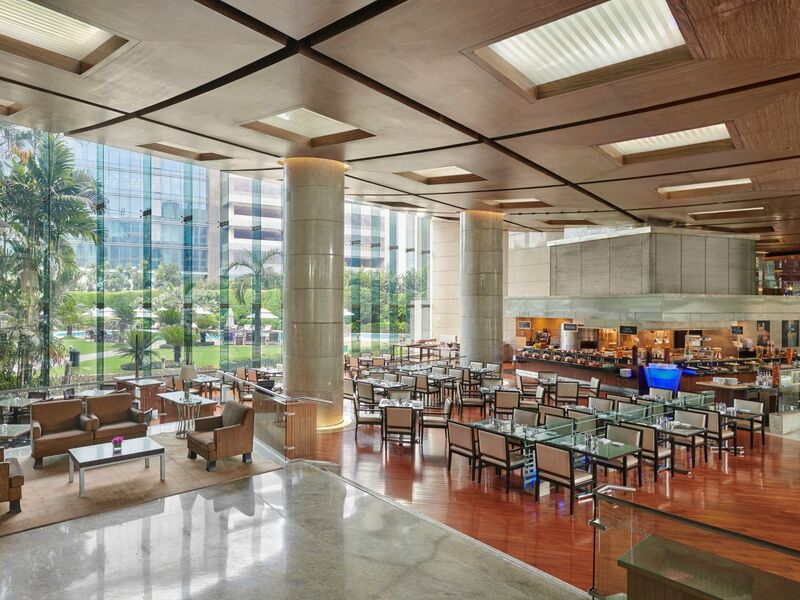 Hyatt Regency Mumbai offers a variety of dining experiences from Glasshouse, our multi-cuisine restaurant to STAX, our specialty Italian restaurant. Relax after a long day at our inviting STAX Bar as you peruse an extensive list of beverages from around the world or grab a quick coffee and bite from The Bakery on your way to the airport. 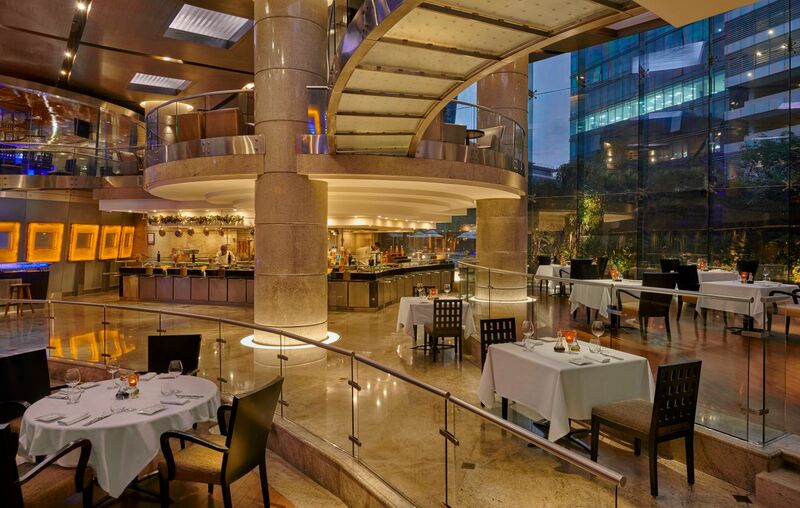 This contemporary and international restaurant in Mumbai occupies the entire right wing and is spread across two floors overlooking the swimming pool and landscaped garden. 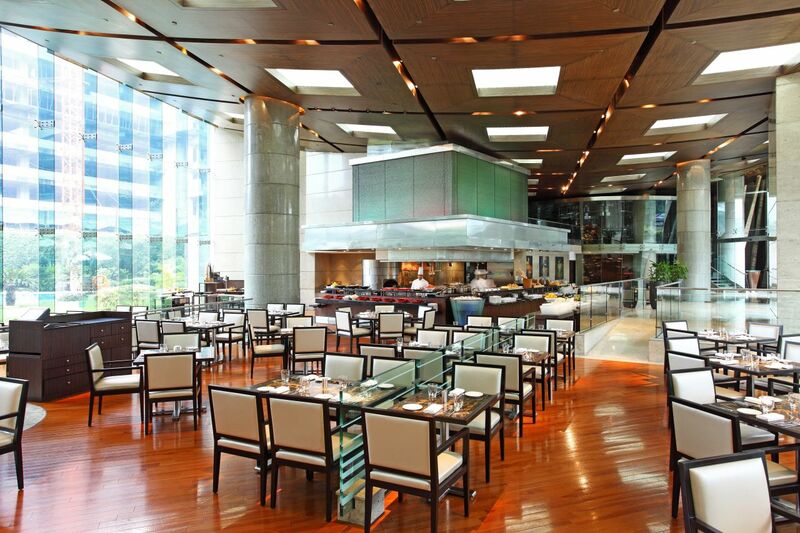 The restaurant is known for its unique architectural style, which combines elements of glass, steel and stone, making it a perfect destination for a private and comfortable meal. Open for dinner the Italian restaurant, presents a unique dining experience, serving fresh home-made pastas, delectable seafood specialities, popular country cuisine and an enticing vegetarian selection, not to mention the famous tiramisu. The original and robust flavours of each dish are paired with a perfect wine selected from a discerning collection of Italian wines. Tiramisu- STAX is home to the most popular Italian trifle- Tiramisu! For dessert enthusiasts our signature Tiramisu is hand made to perfection, with the choicest of ingredients ensuring several irresistible visits. The fluffy sponge combined with the exotic flavors of espresso and cocoa and layered with mascarpone makes for the most sinful preparation. Each spoon diffuses to the taste buds the essence of a truly Italian experience. 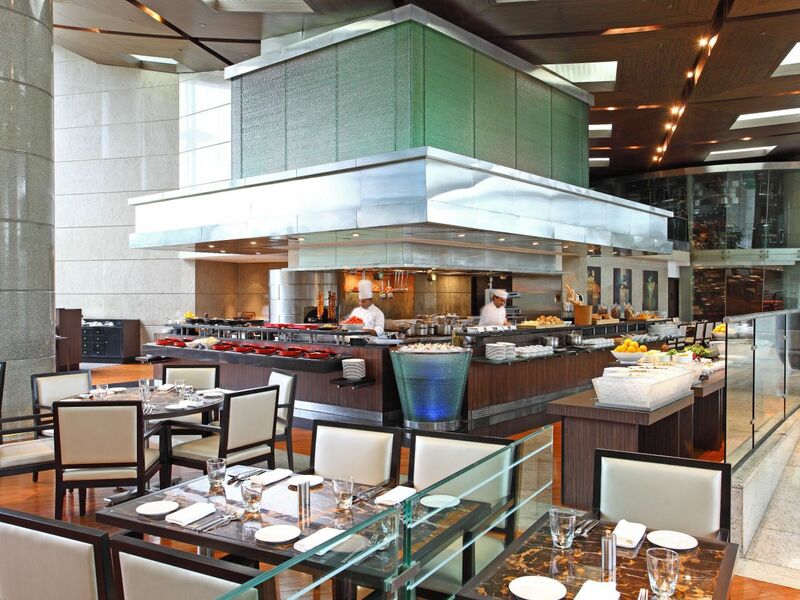 Glasshouse, the hotel's all-day dining restaurant, features international specialities and authentic Indian kebabs and curries prepared in an interactive show kitchen. Open 24 hours, the best restaurants in Mumbai has both à la carte selection, as well as a sumptuous buffet for breakfast, lunch and dinner. The desert buffet is a must try. The casual yet lively ambience with a panoramic poolside view is accentuated by dramatic lobby interiors designed with floating ebony-coffered ceilings and stainless steel and stacked glass features. 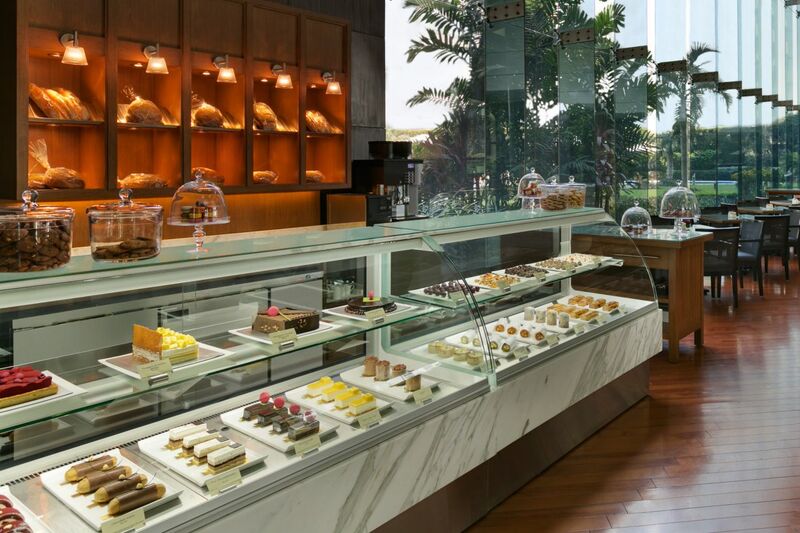 The Bakery, the hotel’s brand-new addition to its food and beverage outlets, creates an all-encompassing experience for its patrons. This 32-seater eatery is conveniently designed to provide a contemporary and casual setting overlooking manicured landscapes and the pool, where one can enjoy a casual snack or refreshments throughout the day. Aesthetically conceptualized by the acclaimed international designer, George Wong, it satiates guests’ senses with the aroma of fresh breads, the taste of richly brewed tea, the sound of guests’ favourite cookies cracking, the sight of an irresistible cake and the feel of a warm croissant. The Bakery offers everything from a quick coffee to go or a bite to eat before a meeting, to a cozy space in which to lounge around in before a flight. Sugar Free and Gluten Free products available. 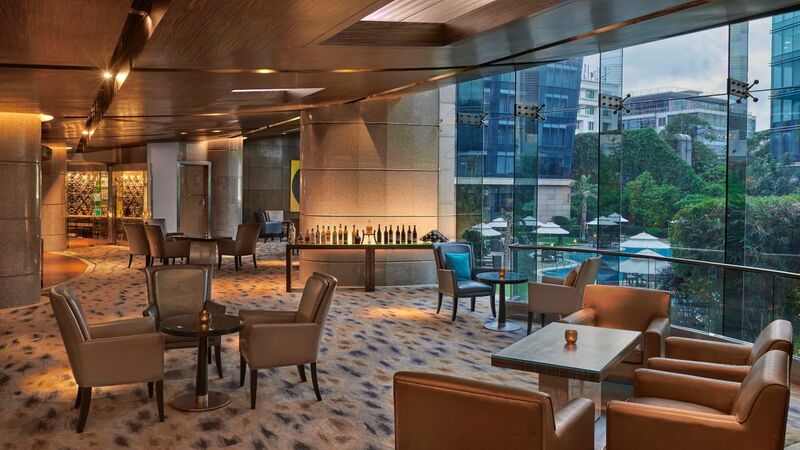 Located at the upper level STAX is the best Bar in Mumbai features a wide variety of whiskies and single malts, making it the perfect setting for a relaxed evening in a warm and inviting ambience. Explore the extensive beverage list that includes champagnes, imported beers and wines of the world, each with distinctive histories and flavors perfectly complimenting the cuisine. Weekends are all about relaxing and what better way to do it than indulging in a leisurely Sunday Brunch at Glasshouse which allows you access to our outdoor swimming pool, making your Sundays the perfect family time. Explore the authentic flavours of global cuisines with an extensive menu created by our expert chefs to satiate your palate, from Sushi and Dimsums to Kebabs and Desserts as well as live Carving stations and counters for Pasta and Risotto, Eggs-to-order, Pancakes & much more! Enjoy your brunch at leisure. Let your child enjoy at the swimming pool and a designated area for fun and entertainment. Come join this gastronomical feast put together by our team of specialty chefs and make it an experience to remember with friends and family.